I have an electric heat pump it sounds like a train leaving station. Hurry up do not miss it! Otherwise, get some info on this page. Why new heat pump is so much bigger than old one? Maybe its too dirty, and now you may need to replace the blower wheel. 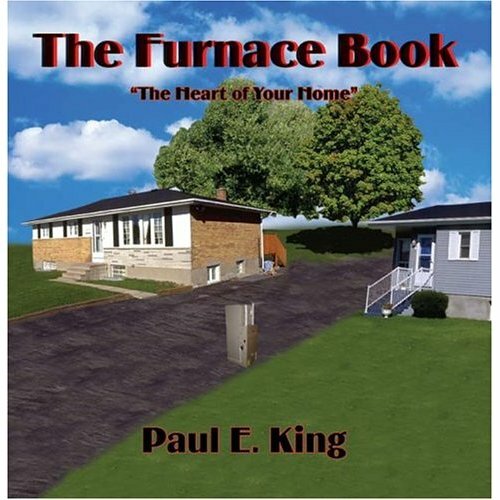 How to branch out ductwork from my furnace to heat my garage. How to increase airflow in bathroom wall registers. I doubt that you have CO2 alarm, most likely it's CO! If your dryer vent is clogged with lint then your CO alarm may go off. Yes, if it's not sealed properly. WTF is a sidewall cold air return? But in general cold air returns range from 14" x 6" to 48" x 6", sometimes by 10". How do I connect flex duct to a drop ceiling. How to connect s-cleats ducting. 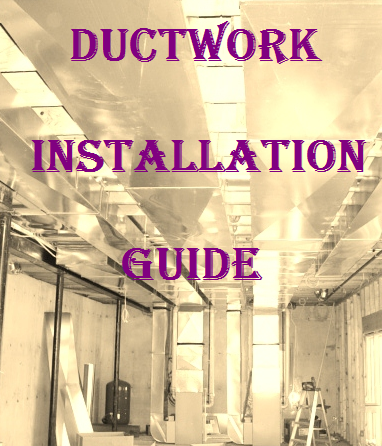 I have a Chapter #40 in my "Ductwork Installation Guide" book where you can find info for this topic. Yes, its not a good idea to put it at the back side of the furnace's jacket. No, it's rather the one-sided path of air making this happen, but get more info on this page, BTW its free. Seal it with the duct sealer or silicone. Why are some of the registers blowing air out from our furnace noisier than others? Probably because more air is coming thru, balance the system. Where does condensate pump discharge to? Usually they discharge it to a sink, sometimes (for A/C-s only) to outside. Loud bangs in boiler pipes, major fluctuations in pressure. I have an old Weil-McLain floor model boiler I'm not sure of the model but if it helps it's about 30-40 years old, it 31" tall and is gray/blue in color; is natural gas fired. It also runs 3 zones with copper tube/aluminum fin baseboard radiators. My zones are basement, first floor, and second floor. My home is a two story wood frame house about 50+ years old. Last year my pump gave me some trouble but got through the season. My zone valves also took some maintenance. They were old Dole HM2-3/4 zone valves. I just finished replacing the circulation pump. The pump was the recommended replacement. The old pump was a 15-42F and the new one is a 15-58FC. I also installed 3 new Taco E075C2-3 zone valves. I also installed a new Honeywell Fv180 air vent. This air vent sits directly on top of the boiler. I also installed a new pressure temp gauge, which is on the side next to the pressure relief valve. After I completed installing the new parts I first bleed the system with the zone valves open but without the pump running. I then bleed it with the pump running. I have also now bled the system hot. For clarification by bleeding, I mean that I have gone to each zone and opened the bleed valves until no air was evident. Some time this meant many bucketfuls of water. I also opened the cap on the new bleed valve on top of the boiler. My problem now it's that the pipes near the boiler bang (like a hammer hitting them) and my pressure wildly fluctuates 5-20 PSI. My pressure will also build from 10 up to as much as 30 then my relief valve pops. After the burners go off the air valve will then hiss like a pressure cooker for about 1 minute. I initially had my accumulator tank set at 17 PSI but I was getting regular relief valve pop offs. I then lowered it to 10 and it helped. This has been going on for 4 days. On the expansion tank... that appears to be a FILL-TROLL tank and valve. You can't just replace that with a standard tank. Fixed! Thanks to everyone. My pump was in upside down!. The new pump looks nearly identical to the old one so I assumed (you know what happens when you assume?) it was the same direction of flow. I turned it over, drained about a cup of water out of the Fill-Troll tank, then set it's pressure; bled it out, and now it's working better than I ever known it to. Thanks again. Now I enjoy a quiet, smooth running system. My forced hot water boiler is making a banging sound or booming sound, what should I do? The (banging) noise is most likely due to your boiler running low on water or having no water at all in. Do not attempt to fill your hot boiler with cold water, you will crack the block and need a new boiler. This could mean your automatic fill is not doing its job and needs to be looked at. My 50 year old boiler is making a loud buzzing sound from an electric box on the front of the boiler. When I open up the box (approx 5"x5") there are some wires, and what looks like a small electric motor. Attached to the motor is what looks like a tiny metal square that is vibrating to make the noise. It is pretty loud. There is no labeling, writing, or marking to tell me what this part of the boiler is. Any ideas? What you describe sounds like a contactor. This is what is used to switch on and off the power to your boiler. Contactors are nothing more than high voltage switches controlled by low voltage conductors. Contactors are used to reduce arcing when equipment is switched on and off. When the low voltage conductors that are being fed by the thermostat have voltage applied to them they create an electromagnet around the square piece (coil) you described. Somewhere on this square coil should be a set of contacts that are pulled closed by magnetic force when the low voltage control wires are energized. The use of electromagnets causes the contacts to engage and disengage much faster than a human finger can flip a switch, thus reducing arcing as the contacts are pulled together and separated. Now, to fix your problem. (hopefully) This is what I think you should try. Turn off the power to this contactor (high and low voltage). Once power is off, take some emery cloth or very fine sand paper and gently buff the contact points until all burn residue is removed. The buzzing you hear is most likely caused by insufficient contact caused by this residue. Put it all back together and turn back on. If the problem persist, then you will need to replace the contactor. 1. When the system is calling for heat the droning /switching noise starts for two minutes, then the boiler works fine with no noise. 2. When the system is calling for heat the droning/switching noise starts and does not stop, and the boiler never fires up. (No lights illuminated). Had this and before and have replaced the PCB and that has sorted it. Swapped PCB yesterday and it now appears to be working fine with no strange noises. Teledyne Laars JVH furnace relay chatter. I have a Teledyne Laars JVH boiler furnace with six zones. When the thermostat farthest from the furnace calls for heat (approx 50 ft), the relay gives off a loud chattering noise. I've swapped the thermostat with another and the problem persists. The furnace is about 9 years old. Is this due to wear at the relay? Look for a voltage drop problem. When relays chatter it usually means there is insufficient power for the relay coil to pull in and stay in during the called for event. You have a 50-foot run of probably very small gauge signal wire and that in itself can be a problem. I replaced a B&G 100 series circulator with a new B&G NRF-22 circulator about two months ago. All was well until Thanksgiving night when we returned home to an alarming noise coming from the radiator pipes that sounds like a smoke alarm for lack of a better description. It's a high pitched squeal/screech/chirping noise that only appears during some heating cycles and only when the temp of the boiler is between 140F and 150F. The boiler is an older Burnham gas fired unit that only feeds 6 radiators on the first floor of our 1.5 story Cape Cod. The PSI is about 9 or 10 cold and about 10 or 11 hot and it rarely goes above 145F per cycle. I replaced the 100 because it was leaking and I didn't want to deal with oiling it anymore. All I did was drain the entire system, unbolt the old 100, bolt the new NRF-22 on, and refill the system. It worked great for almost exactly 2 months but now it's noisy sometimes. All that I've read so far points to failing bearings in my new pump or possibly air in the system. I've bled for air so I'm hopefully ruling that out. Does anyone have any suggestions for a remedy? I have no problem replacing the pump but I fear that may not be the best solution given how new the one is on there now. If replacing it is the way to go is the NRF-22 the one to still use or is there another make/model that would fit the B&G flanges and be more reliable? In addition I just had the opportunity to listen to the circulator on start-up. It was completely silent at first but after about 5 minutes a slight, soft ringing noise could be heard coming from inside the unit but you have to have your ear right next to it to hear it as it is not heard through the pipes. It appears the sound is there but just gets amplified as it gets hotter until it is ringing through the pipes. It's a steady noise for about a minute at a time at temp but cuts off here and there and sometimes chirps when it first starts. It has to be the pump bearings right? I've had NRF -22 pumps do the same right out of the box. B&G has always had some of, if not, the best hydraulic components around. But their wet rotor pumps like this one are now made in China. Need I say more? I'd recommend a Taco 007 or a Grundfos UPS15-58. Either one will connect to your flanges. However, I'd recommend that you install isolation flanges while you've got the system drained. That way you won't have to drain it to change the pump ever again. Also, you need 12 psi minimum on a cold boiler for a two story house and 18 psi minimum for a three story. Try adjusting your fill valve by loosening the lock nut on the stem and then slowly turning the stem clockwise until the pressure increase to where it should be. Greenstar 12ri clicking on overrun. Greenstar 12ri boiler on Honeywell Y plan runs perfectly CH or HW or both. On pump overrun after CH satisfied boiler clicks sporadically for several minutes. This also occurs during pump anti-seize in the middle of the night. I seem to be able to stop it by creating a HW demand just long enough for the boiler to respond, i.e. it seems not to do its clicking with the 3-way valve in the HW position. I have checked the valve, stats, wiring and boiler and am totally stumped. The 220K 'accelerator' resistor in the wall stat was intermittent open circuit. There was just enough leakage current from the 270K demagnetizing resistor in the 3-way valve to momentarily trigger the boiler demand input. Obviously, this could only occur when the valve was in the CH position. Aah. The wonderful sound of silence. Got a Midas B wall mounted combination gas boiler made by Mason Heating. Firstly; for no apparent reason, day or night at completely random times the boiler makes an incredible clicking sound! It appears the main burner area (from looking at the manual) is trying to ignite!? It happens not because we are turning on any hot taps; early hours of the morning just basically any time. The clicking noise can go on for a few minutes at a time - drives me mad. When the boiler is not working, the bar pressure over a few days drops from 1 bar down to zero and I have to fill the system up again to 1 bar. But the system clicks regardless if the bar pressure is low. Another hick-up as well. In the morning I have a great hot shower, a few minutes later my wife will have a shower but there is no hot water?! I have to go and turn the central heating on and the kitchen sink taps to try get the burner to ignite and supply the shower with hot water. The first shower is always ok, but 6 out of 10 times the second shower is the problem. Another problem. We have a second bathroom about twenty feet away from the boiler which has just a bath. The pressure out the hot tap is not very good plus the hot water is not very hot. By the time the bath is full it just got hot water in so the temp does not require cold water - same goes for the vanity hot tap? Kitchen hot water tap has the same issue. I know that Mason no longer make boilers and Baxi took them over. Anyway, hope someone has some good news or advice for me. Clicking will be an intermittent electrical problem, possibly a bad solder joint on a pcb, or dirty relay contacts. Poor hot water performance is usually caused by build-up of sludge, typically in the primary side of the secondary (HW) heat exchanger ( & maybe main heat exchanger too at this age - boiler sings?). This results in low HW temperature for the flow, and overheating of the boiler. It can't get the heat out so it overheats and shuts off until it cools down. Meantime no hot water at all. Low temp at particular outlets is due to the above, plus too high a tap flow rate for the amount of energy getting into the water - it just comes out too "diluted" = cool. We shower at 38-40 but bathe at about 45. First problem needs inspection and maybe new parts, sludge can be removed with special methods/machines/chemicals. Oh - the other problem, losing pressure. It's leaking, in it! Look at the pressure relief pipe which goes out through the wall. Quite often they leak (drip) a bit. That would be because either the valve seat is dirty , or the pressure vessel needs pumping up. (if there's no "air-spring" for the expanding water to go into, it has to leak out). Other places to look for leaks are red valve stems and compression connections. If you've been topping up for long with hard water, you've been introducing "lime scale" and fresh oxygen to the heating water which will accelerate sludge formation. Most combos with these problems were put in on the cheap and haven't been serviced this century!! "Explosion ignition" and high bar pressure during use. Boiler has been making a loud thudding whoosh sound which rattles the case when firing back up during normal use. I think they call it "explosive ignition"
The Boiler was serviced by British Gas a few days ago. He told me this was normal. I think the ferocity of the whoosh and rattling of internals has increased since he balanced the radiators. More heat from all 12 radiators and better running system. The boiler pressure in bars goes from 1 to 4. It's just below 1 before turning on and slowly creeps up to just under 3 in about a hours time of use. Is this normal? Again, the British Gas engineers said the system was fine and signed off the service. My knowledge and understanding has come from using Google over last few days (I'm by no means an expert) and the same things terms & answers seem to come up. I.e. you shouldn't see a big increase in pressure during use, explosive ignition problem is not normal and needs checking. The filling loop needs to be disconnected. And loss of charge/pressure in expansion vessel can cause rise in pressure. Does anyone see a pattern here? I would like to call a local engineer to fault find this and would like some background knowledge to ask questions. Good thing about the internet and forums like this is that you can push the Engineer to fix problems... with some basic understanding and examples. Also no extra cost for time fixing and component. This was a continuation of a paid 'service' to the boiler. This volume of this noise has since reduced, and now sounds very much like a moaning-grating noise, but is *fairly* quiet. I've had the carcass off the boiler to take a peek inside, and the sound seems*1 that the sound is coming from the fan unit (unit is described as "fan assisted" - I guess that means a powered flue?). the noise, but might be indicative of a bearing collapsing, resulting in the shaft being off-centre. One further observation, it's getting hot around the blower unit - to the extent where plastic shrouds around electrical terminals are disintegrating. Does this indeed sound like a fan/blower failure. If so, is this a DIY or professional job? On a 7 year old boiler, is a replacement unit more practical? If I was to replace boiler WITH LIKE, installation / commissioning charges likely from a Corgi? Okay, since the reply to date suggested that the fan is a consumable, I've had the unit apart and sprayed some PTFE lubricating oil on the motor, fan and blower bearings; now, quiet as a lamb. Will wait to see if this is a temporary fix before deciding to replace the fan unit. We recently had our gas valve replaced on our Weil McLain heater (baseboard heat). Since the value was replaced I started to notice clicking noise (almost like a clunk) between 3-4 times and then the burners kick off. Is this a problem with the new valve not being able to close or is something else going? The burner is only about 11 years old. The clicking noise is definitely coming from within the boiler. It sounds like the system wants to turn off the boiler but is having difficulty turning off the gas. Is this a bad valve or does it sound like the switch is bad? I'm going to call the repair guy that I used the last time but don't want to get this huge bill from him especially since this started just after he installed this new gas valve. The tech came over this evening and said that it was the Taco Power head that was loose, which kind of makes sense since we are only having the problem with the bottom zone. He pulled out his voltmeter and said that was the issue. After he had left the issue is still there but it only clicks 2-3 times now. I'm going to go to Home Depot tomorrow and get one to see if that unit is going bad. Replaced the unit and everything so far seems to be ok.
My boiler sounds like a 737 landing, ok maybe a 727. Moved into my current house a 1960’s 3 bed detached house, about 18 months ago. It has an open vent, fully pumped heating system with a Glowworm Economy Plus 60F. The pipe work seems a little strange with 22mm from boiler to upstairs and 10mm off to rods with TRV’s; it then drops in 15mm to feed the hall and lounge. I have altered the controls as it only had a single 2 way valve installed? an old electro-mechanical timer and no room thermostat. I have updated the controller now a Siemens RWB2E (alright I know, but it works for me), and installed a second 2 way valve, along with a room stat and a new cylinder stat. This now all operates fine, on/off at right time and hot water only as required. However, it has been making some noise dependant on where the boiler thermostat is set, I called British Gas under the service contract and the engineer suggested that the noise might be due to scaling, he inserted some cleaner into one of the rads and said to leave it to work through. The noise continued with a grinding sound, which seemed to be linked to the fan, BG replaced the Fan, which did seem to calm the noise a little. However just before Christmas the noise became quite loud, BG turned out and the engineer suggested that improving the flow might help, he removed the Grundfos Alpha pump and find a standard pump set to maximum. He did conclude that any further noise must now be the heat exchanger, which was a discontinued part for this model. The boiler thermostat is now set to minimum, above which there is significant noise. I have checked a few spare suppliers and the heat exchanger does seem to be available, can I insist that BG change it under the service contract? Is there any way to prove the noise is related to circulation and or sludge in the heat exchanger? You could try a bottle of silencer but I've had mixed results. Cheaper than a h/e or a new boiler though so maybe worth a gamble. Firstly, put in a second bottle of F2 and it has worked perfectly. Boiler now operating very quietly, I have been able to turn the pump down. I am still planning to put in the DX40, but hopefully this can wait until the warmer weather when I can lockdown the rods for a week. At same time I will detach rods and take a hosepipe to them. When the Potterton is on control setting 1 it all works fine, but if the temperature drops down to the -5 degrees outside, the boiler can struggle to keep the house at 21 degrees. Therefore increase Potterton to 3 and when it all fires up, the Grundfos pump draws in air and makes a horrible grinding noise. Air can be heard circulating round system for a bit. The open vent pipe is 2m in height so tall enough I understand not to be drawing air in, though not had a chance to try the pint glass test yet. Seems like it's the boiler causing the problem, but I don't yet understand what it's doing or what is causing it. Second picture down will be where the problem is. Called the H section just above the pump and will be restricted in that area. Needs cutting out and cleaning. Blockage usually in 15mm cold feed. We woke up this morning to a grinding, squeaky noise coming from our old "Fer Industry" Combi boiler and no heating or DHW. Upon taking the cover off it appeared that the noise was emanating the fan in the top right hand corner (see pics with red arrow pointing to part). The little fan associated with the motor there was turning intermittently at best but the solenoid associated with it is humming constantly. I hovered the dust around it and put a few drops of oil as close to the axle as I could but there was no improvement. Is this indeed a fan associated with the flue? Are they easily taken out and inspected? Can I do this myself as someone who regularly does a bit of DIY? Or should I ask a plumber to switch the fan for a new one? How much can I expect to pay for that? Any other advice on how to properly diagnose the problem and potentially fix it. Our flat is on the market and I'd rather not invest in a new boiler! I looked up the fan with a plan to purchase it but just before payment I figured I might as well make a last ditch attempt at fixing the problem by removing the old fan, taking it apart, cleaning it (you wouldn't believe the pile of dust I extracted from it!) and oiling everything in sight. That seems to have done the trick as the boiler is now running like a dream and much quieter than even before the fan seized. Thanks for all the help!